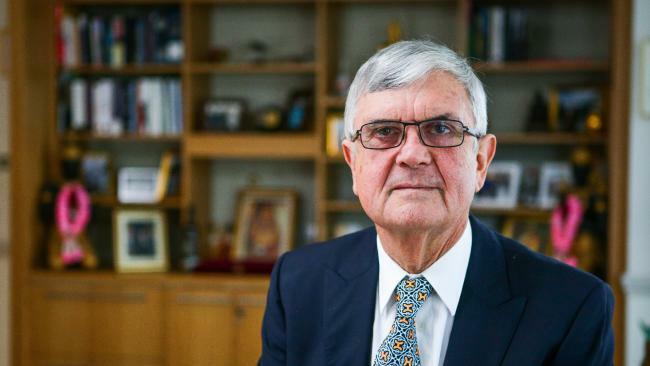 Attorney-General George Brandis has named Chief Judge John Pascoe as the new Chief Justice of the Family Court. However the appointment comes just 14 months before he reaches the mandatory retirement age of 70. Chief Judge Pascoe has already served for 13 years as head of the Federal Circuit Court, a lower-ranked court that handles more than 85 per cent of family law disputes. The appointment came as the government announced a sweeping review of the family law system. Outgoing Family Court Chief Justice Diana Bryant, who retires this week, says she does not believe it is ideal for the government to retain three separate courts – the Federal Court, the Federal Circuit Court and the Family Court. She says that folding the Family Court into a new division of the Federal Court would probably be more cost-effective. Chief Justice Pascoe is viewed as the ideal officer to oversee any restructure. He is aware of the issues facing the Family Court and Federal Circuit Court and, with his retirement approaching next year, would not have a vested interest in the outcome. Australian Bar Association President Will Alstergren QC has been appointed the Chief Judge of the Federal Circuit Court. Mr Alstergren has also been issued a joint commission as a Justice of the Family Court. The appointments commence 13 October 2017.